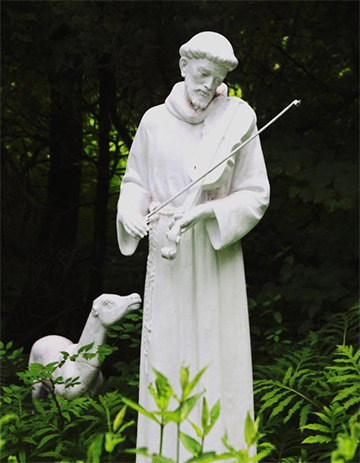 St. Anthony’s Franciscan Monastery is a separate property located adjacent to the Franciscan Guest House. Established in 1947, the Monastery is open to the public from sunrise to sunset. The Friars welcome all visitors. Feel free to come and enjoy the quiet beauty of riverside walking paths, English-style gardens, woodlands, and outdoor chapels. The walking path is paved, has views of the river, and benches. 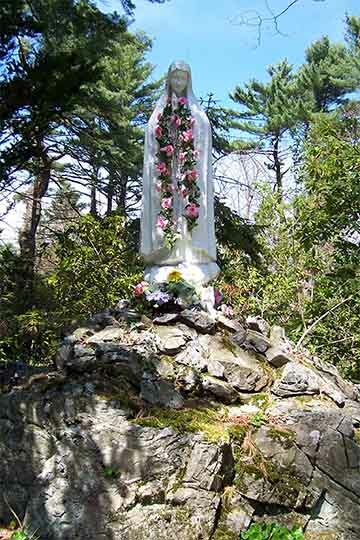 A Walking Tour of the Shrines brochure is available at the Franciscan Guest House front desk. A gift shop is located under the chapel and is open from 10 to noon and 1 to 4 pm daily from March 1st to December 31st. Confessions are available upon request. For more information about mass, confession and prayer schedule, please click Franciscan Monastery to be connected to the Monastery website, or call (207) 967-2011.